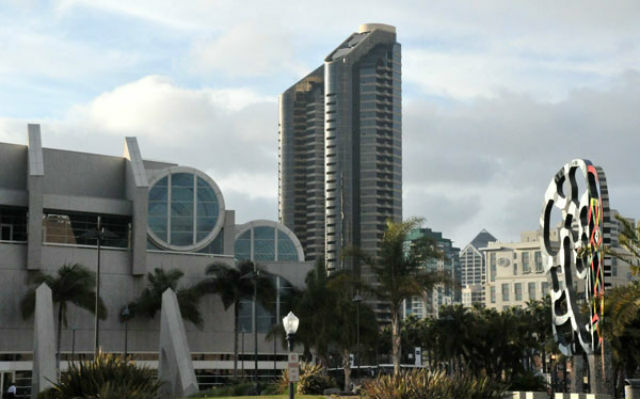 For nearly 30 years, the San Diego Convention Center has been at the forefront of the meetings industry. On Oct.16, the venue has been honored with the Gold Award for Best Convention Center in the Western United States by the 2018 Prevue Visionary Awards. This is the first time the Prevue Visionary Awards has included a category for convention centers, specifically recognizing venues that are forward-thinking and innovative. “The entire team at Prevue is honored to recognize these innovators in the meetings and incentives industry as voted on by our readership and esteemed Advisory Board,” the organization said in its official announcement of winners in 30 categories. San Diego Convention Center Corp. President and CEO Clifford “Rip” Rippetoe and Vice President of Sales and Services Andy Mikschl were presented the Gold Award at the IMEX America Exhibition in Las Vegas on Oct. 16. IMEX is America’s worldwide exhibition for incentive travel, meetings and events. Earlier this year, the San Diego Convention Center completed its Sails Pavilion renovation, which included the new addition of colored LED lights. This feature allows customers and community partners to create vibrant, expressive displays, that not only illuminate the interior of the 90,000-square-foot exhibit space, but the surrounding cityscape as well. Sustainability in meetings is another important goal of the San Diego Convention Center, which is a LEED Gold Certified Venue. When a long-time customers began their “zero plastics” efforts, the Convention Center team swapped out all plastic water bottles for boxed waters, ordered canned juices instead of bottled beverages and used plates and cutlery made of compostable materials. In 2019, California law will prohibit plastic straws, but the San Diego Convention Center is already ahead of the game, cutting out plastics as of now from catering protocol.